IWASSA Co.: Network "Facebook" launches the application provides access to the Internet for free..
Network "Facebook" launches the application provides access to the Internet for free.. Announced "Facebook" Thursday announced the launch of a new application that allows users to access many of the basic services for free, as part of Internet.org initiative launched by the company last year, which aims to provide Internet users living in remote areas of the world. The company said that the application of the "Internet dot org" Internet.org provides users browse the collection "useful" of health services, employment, and local information without the need to subscribe to the Internet. It is the applications that users can application be accessed through it, the application of "Facebook", and the application of Instant Messaging's social network "Facebook Messenger", and the application of weather "AccuWeather", and the application of research "Google Searchlight" Google Search, and the application of the free encyclopedia "Wikipedia", and a number of special applications residents of Zambia. And hopes to "Facebook", providing users with basic services free of charge via the application, bring in more people to the Internet and help them discover valuable services, according to the expression. They pointed out that the company is more than 85 percent of the world's population live in areas reached by coverage of mobile phones, but there are 35 percent of them do not have access to the Internet. 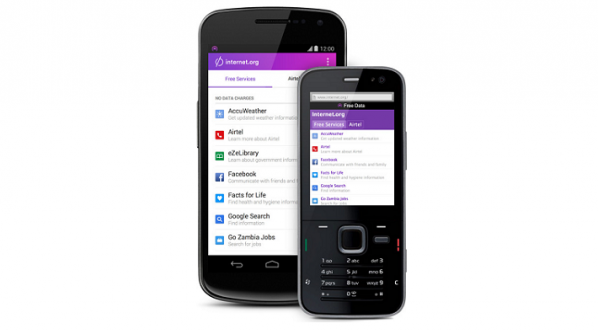 The "Facebook" Internet.org that the application will be available first in the state to subscribers Zambia Telecommunications Company "Airtel" Airtel, and confirmed that it will continue to work on improving the experience of the application and launch it in other parts of the world.